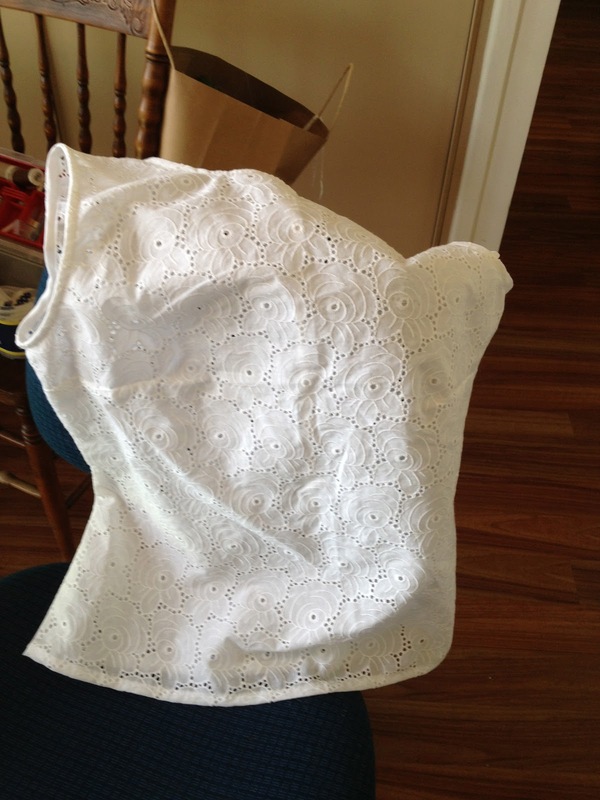 Today I finished sewing what I have decided will be the last of the summer blouses. 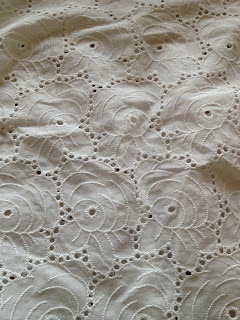 When I was in Brisbane a few weeks ago I made flying visit to Gardam's in Edward street and bought the last of the roll of this beautiful rose pattern broderie anglaise. 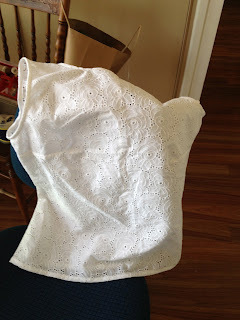 And I decided that I would make one last of what has become my standard sleeveless summer blouse. I think I have made about 8 of these since the sewing bug bit me last birthday. They have been awesome with pants and skirts all summer. But with autumn around the corner it's time to start sewing things with sleeves. Here is the finished product. No doubt I will be able to wear it for a while yet in what passes for Queensland's change of seasons. 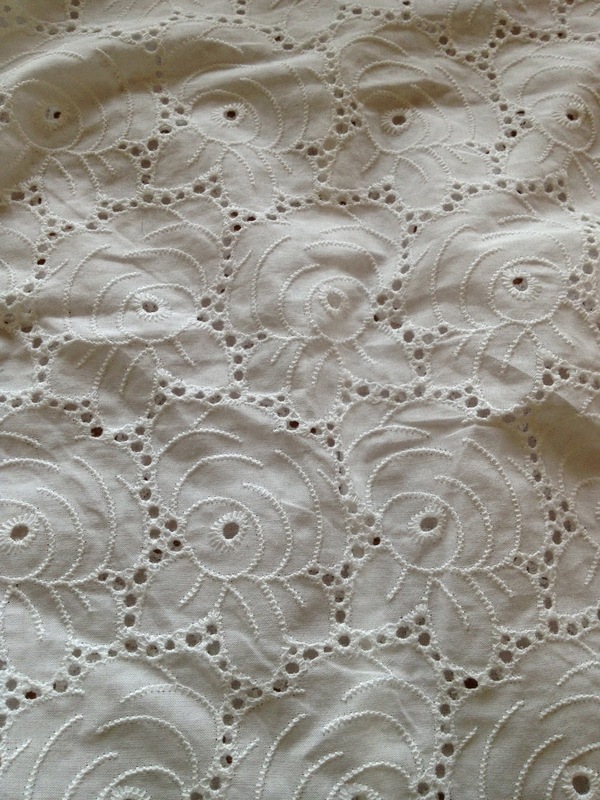 The broderie anglaise is gorgeous, I love the rose pattern and it makes a cute top!! !